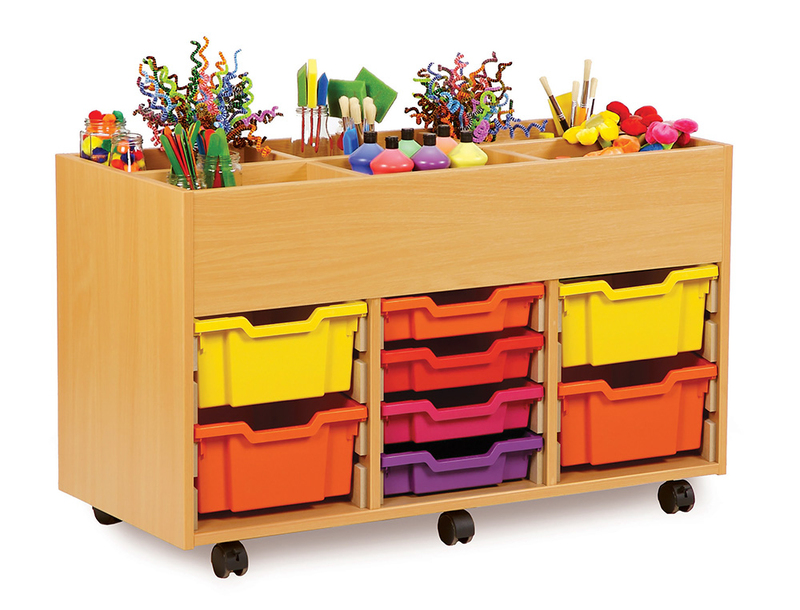 The art storage unit with trays is a mobile storage solution with storage bays and Gratnells trays. 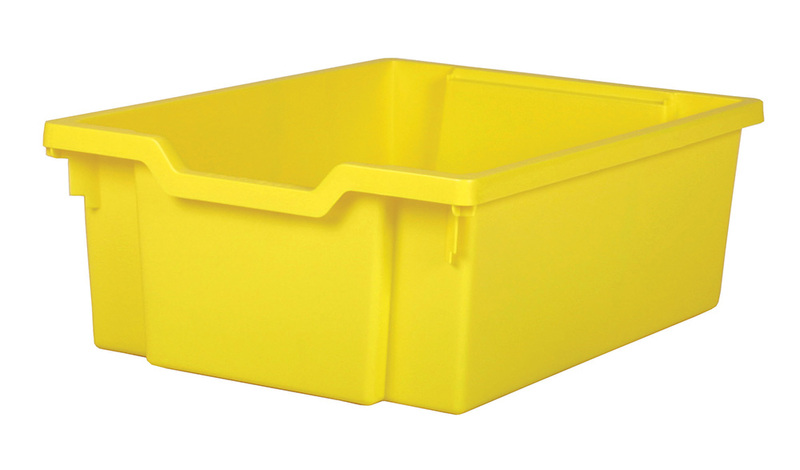 Choose from either 4 or 6 kinderbox bays with either shallow or deep trays. 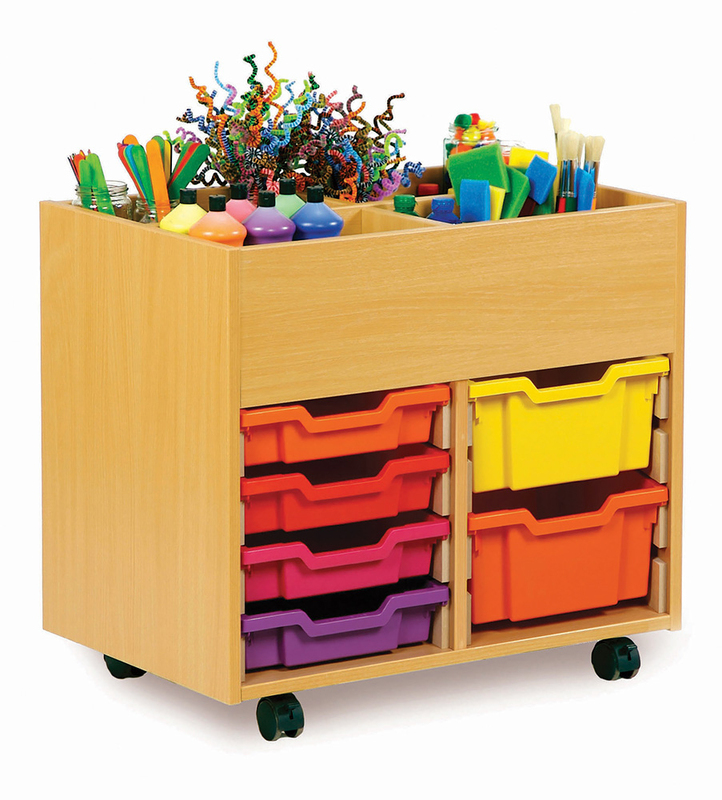 Constructed from 18mm durable MFC in a modern beech finish, each unit comes with lockable castor feet for easy mobility. 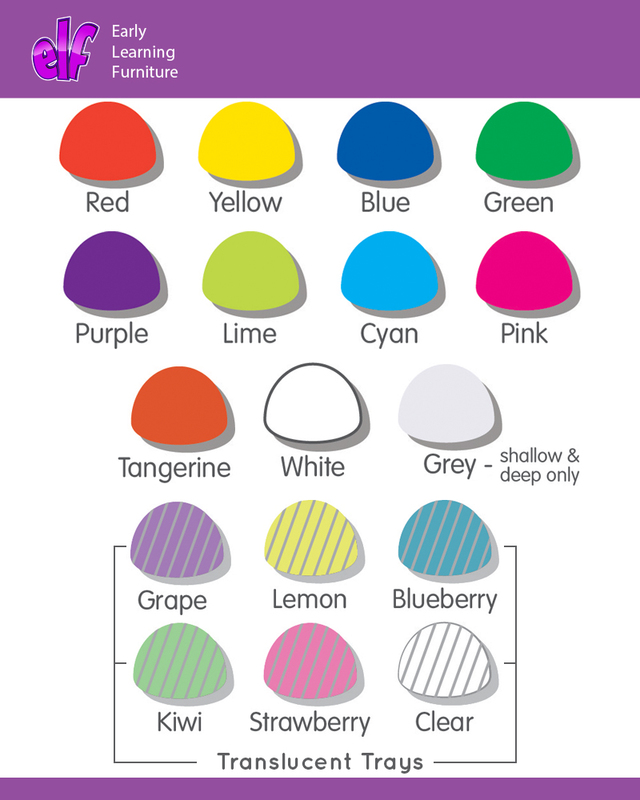 Choose from 16 vibrant tray colours. 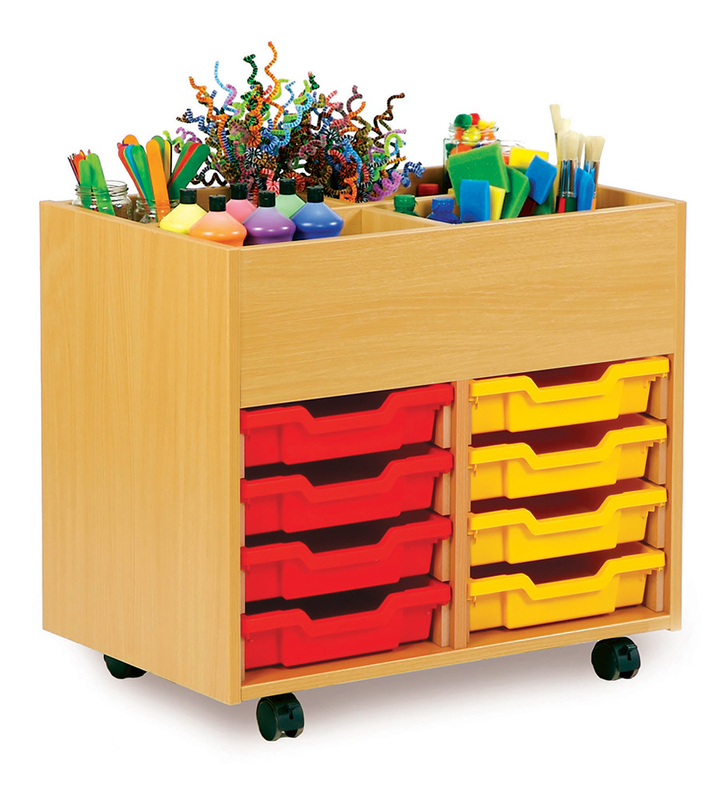 These art storage units are ideal for holding all classroom art supplies within schools, pre-schools and nurseries. 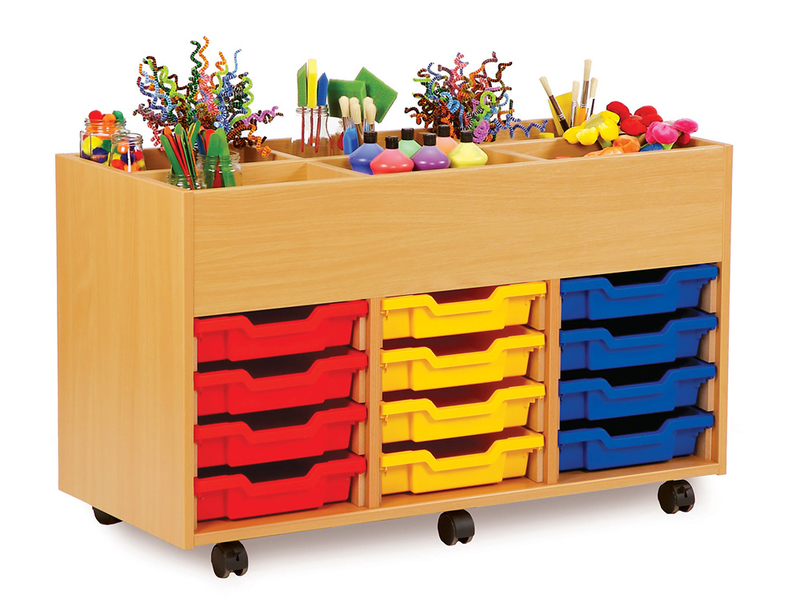 Easy to move from classroom to classroom if required.